Professor Paul Boyle has been appointed as the new vice-chancellor of Swansea University. He is moving from a similar role at the University of Leicester and will succeed Prof Richard B. Davies, who is retiring at the end of this academic year. It is a return to Swansea, where Prof Boyle, 54, started his academic career in 1991. The university said he "brings a wealth of experience at the highest level". He is formerly the chief executive of the social sciences funding body, the Economic and Social Research Council (ESRC). His appointment comes with the university embroiled in an internal investigation, which has seen five staff suspended since last November. The inquiry has been linked to plans for a £200m wellness and life sciences village at Llanelli, a key project in the Swansea Bay city deal. 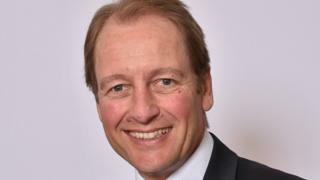 One of those suspended is Prof Davies, who in a letter of grievance, seen by BBC Wales, said he "profoundly" denied the allegations against him and would "fight to clear my name". Prof Davies has been vice-chancellor since 2003 but announced last September his intention to retire. Prof Boyle's appointment was confirmed at a special meeting of the university council on Tuesday. The university said its "rigorous appointment process" included discussions with academics and students. Sir Roger Jones, university council chairman, pointed to Prof Boyle's achievements at Leicester since 2014, including increased research funding and citations. "I am confident that under his leadership, Swansea University will build on its current strong position and achieve even greater things in the future," said Sir Roger. Prof Boyle, who is on the board of Universities UK and chairs its research policy network, said: "I am enormously excited to be joining Swansea University at such an exciting time as it approaches its centenary in 2020. "So much has been achieved at Swansea in recent years, including the campus, growth in student numbers, and a rise in some important rankings. I look forward to working with staff and students to build on this success."